Having psychic abilities often come off as having extraordinary powers to be able to read minds or predict the future, and that is why a lot of people do not believe in such things. It makes these abilities seem foreign and spooky. Well, it doesn’t always have to be that way. It makes more sense for these abilities to be an inner voice or a quiet whisper inside you that tells you something is not right, or something good/bad is about to happen. You can say it’s a feeling. Being attentive and observant to that “feeling” or “instinct” might be what psychic abilities are all about! Who knows. Well, according to astrologers, certain Zodiac Signs are naturally inclined to have these psychic abilities and can tell of particular situations by intuition. Here they are! See if you’re part of the ‘people from the beyond’. You are known to be great thinkers with creative ideas and get attracted to the tiniest details of any culture because you love learning about new cultures. Your mind is open to the various extraordinarily ordinary things of daily life. You are very observant and mindful of your surroundings and that is supposed to be the reason your instincts are so accurate! You are the one who is all about emotions and feelings, which is why it’s hard to believe that you can be the rational person who is able to differentiate between the real world and the fantasy world. But you have a natural gift to sense things and have a profound connection with spirituality which helps you build a strong intuition in you. You pick up all the important signals around you because you are a natural when it comes to being observant and connecting with people. By doing that, you are able to analyse the feelings and thought patterns of these people (through the tone of their voice, body language, gestures, etc) and are able to discern certain aspects of their lives to them. Pretty psychic, I must say! You are an intense personality. Even talking to you can make people tremble because talking makes them feel like you’re looking deep inside their soul and reading their innermost secrets instead of just having normal conversations. Super spooky. But well, that’s how you make them feel, Scorpio! People find it hard to lie to you because they are probably scared your instincts will find out they are lying. That’s how highly regarded your instincts are! 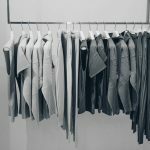 Previous article When Should You Get Rid Of Your Old Clothes? Here’s Some Help.